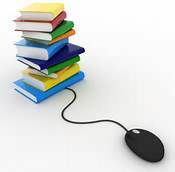 These education courses are offered online, so you can complete the class anytime of the day. The following courses are available now for you to take. (The dates listed on this page were when we started offering these courses.) Click the "Register" button to take the courses now. Please note that at the end of the course content there is an exam that must be proctored. Per the requirement from the Indiana Department of Insurance, IDOI, the Final Assessment is a closed book exam and needs to be proctored/witnessed by another licensed insurance agent or attorney in Indiana. You and your proctor/witness must fill out and sign the Affidavit of Personal Responsibility. Please understand that we are not reliable to provide a proctor/witness for you.